The perfect solution to roof leaks! The Western Leak Diverter is designed to be hung under a pesky roof leak and divert water away from expensive machinery, equipment, and inventory. The leak diverter tarp captures leaky roof water and diverts it to a bucket or drain. Our unique drain fitting has a clear window, allowing you to see if water is still flowing from the leak, and fits any standard 5/8" garden hose. Please contact us with your custom requirement. - Roof leaks of all kinds. - Residential, commerical or industrial. - The roof leak diverter is a short term fix while you wait for roof repairs. 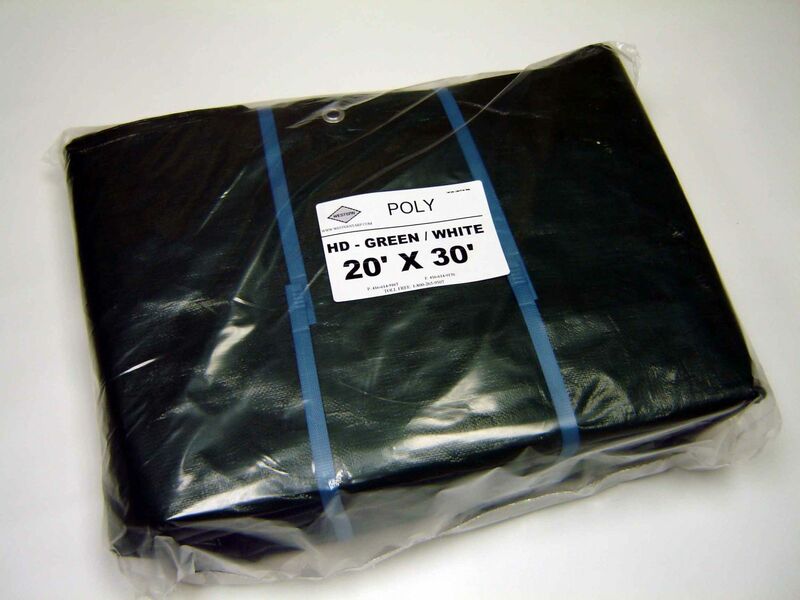 - Waterproof heavy duty vinyl (PVC) material, designed for multiple uses. - Includes fitting for standard garden hose (15' hose lengths extra). Custom sizes available by request only.